I write to alert you to possible violations of the Foreign Agents Registration Act (FARA) that Parvez Ahmed participated in as the Board Chairman of the Council on American-Islamic Relations (CAIR) from May 2005 to July 2008. It is our assessment that CAIR has operated as an unregistered foreign agent under the Foreign Agents Registration Act (FARA) and that Parvez Ahmed may be personally liable as a former officer of the organization. FARA §618 (a) states that any foreign agent who willfully violates any provision of the law may be “punished by a fine of not more than $10,000 or by imprisonment for not more than five years, or both.” We encourage you to familiarize yourself with the FARA code at the Department of Justice website (http://www.justice.gov/criminal/fara/). It is possible that Parvez Ahmed could be investigated and indeed convicted of conducting unreported political influence operations as an unregistered foreign agent. FARA is a disclosure statute that requires entities acting in the U.S. as agents of foreign principals in a political capacity to make periodic public disclosure of their relationship. FARA § 611 (o) states that foreign agents who engage in any activity to “influence any agency or official of the Government of the United States or any section of the public within the United States” must register as a foreign agent and report such activity to the Department of Justice. At the CAIRObservatory.org website (http://www.cairobservatory.org) we provide documentation showing CAIR has met and coordinated with representatives of these foreign principals on more than 30 occasions, and engaged in over 50 political influence operations on their behalf. 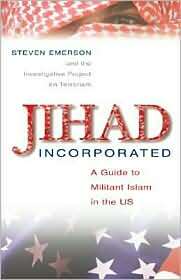 CAIR has failed to report these influence operations, especially under the leadership of Parvez Ahmed. FARA § 612 (a) (5) requires that a foreign agent report “the nature and amount of contributions, income, money, or thing of value” that they receive from foreign principals. 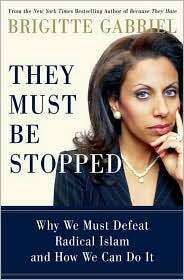 At the CAIRObservatory.org website we provide documentation showing that CAIR has received more than $6 million in cash and loans and more than $50 million in pledges from foreign principals based in Saudi Arabia, Iran, the United Arab Emirates and Kuwait. CAIR has failed to report these payments, notably under the leadership of Parvez Ahmed. FARA § 617 states that if an agent of a foreign principal fails to register with FARA and report the required information that “each of its officers… and each of its directors… shall be subject to prosecution therefor.” Legal precedent indicates a statute of limitations of no less than 5 years. Therefore Ahmed’s activities during his tenure from 2005 – 2008 as CAIR Board Chairman are still subject to prosecution under FARA. We realize this information may shock you, but it is our opinion that the evidence is conclusive. 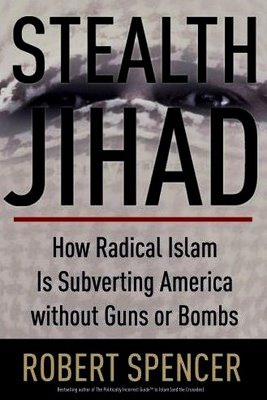 As John Adams wrote, “Facts are stubborn things; and whatever may be our wishes, our inclinations, or the dictates of our passion, they cannot alter the state of facts and evidence.” In fact, hundreds of Americans including elected officials, community groups, corporations and private citizens have been targeted by CAIR. In May 2006 construction mogul Khalaf Al Habtoor hosted a senior CAIR delegation in Dubai, United Arab Emirates (UAE). As Parvez Ahmed solicited contributions from Al Habtoor and other wealthy UAE businessmen to fund a $50 million U.S. public relations campaign, he warned that “if the image of Islam and Muslims is not repaired in America, Muslim and Arab business interests will continue to be on a downward slide in the US.” Ahmed reassured the donors, “Do not think about your contributions as donations. Think about it from the perspective of rate of return. The investment of $50 million will give you billions of dollars in return for 50 years.”Parvez Ahmed’s promise to deliver a U.S. public relations campaign if he received a donation was apparently acted on by UAE officials. On May 26, 2006, the Minister of Finance of the United Arab Emirates, Sheikh Hamdan bin Rashid Al-Maktoum, personally approved the building of an endowment property for CAIR in the United States. According to an April 26, 2006 article in the New York Times, Iran promised in early 2006 to give $50 million in aid to Hamas. On September 8, 2006 national CAIR leaders including Executive Director Nihad Awad and Communications Director Ibrahim Hooper hosted Former Iranian President Mohamed Khatami at a private dinner. In 2007, CAIR was identified by the Department of Justice as an offshoot of the Islamic Association of Palestine, a Hamas front group. All these events occurred during Parvez Ahmed’s tenure as CAIR Chairman. CAIR has a long history of trouble with the law under Parvez Ahmed’s leadership. CAIR was named as an unindicted co-conspirator in U.S. v. Holy Land Foundation – the largest terrorism finance trial in America’s history – during Parvez Ahmed’s tenure in 2007. CAIR is being sued by Muslim, African-American and Hispanic families for defrauding them instead of giving them promised legal help in 2007 – under Parvez Ahmed’s governance as Chairman. Four CAIR leaders have been convicted of felonies including terrorism. 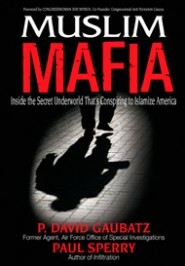 And according to the February 2, 2010 edition of the news website Politico.com, “a grand jury that subpoenaed documents relating to the Council on American-Islamic Relations is investigating possible violations of federal laws barring financial transactions with terrorist groups and countries subject to U.S. sanctions.” These violations may have occurred when Parvez Ahmed was responsible for CAIR’s compliance with the law. We urge you to take Dr. King’s words to heart.